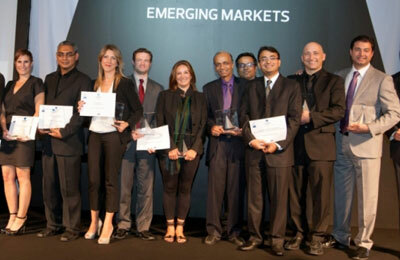 The Cityscape Awards for Emerging Markets honoured 12 winners as it celebrated the best in global real estate development and architecture in a glittering ceremony and cocktail reception in Burj Khalifa last night. The winners were out of a contested 36 entries from 13 countries, with Turkish company Emre Arolat Architects the standout achiever of the night, taking home three awards. Out of five nominations, Emre Arolat Architects took top prize in three separate categories – the first for the Le Meridien Etiler in the Best Built Leisure & Tourism Project category, the second for the Antrepo 5 Museum of Contemporary Art in the Best Future Community & Culture Project category, and the final award for the Varlap Bodrum Residences in the Best Future Residential Project category. Meanwhile, Abu Dhabi-based developer Sorouh Real Estate and architects, took home the Best Built Commercial & Mixed Use Project award for their recently completed Sun & Sky Towers development on the UAE capital’s Reem Island. Sponsored this year by Bank Aysa, the Cityscape Awards for Emerging Markets was a feature of Cityscape Global, which concludes today (October 4) at the Dubai International Convention and Exhibition Centre. Cityscape Global, which opened on October 2, was a hotbed of activity with exhibition space growing by 50 per cent from 2011, this year’s edition of Cityscape Global reconfirmed the positive sentiment that has been dominating the Dubai real estate market in recent months. Organised by Informa Exhibitions, the Middle East’s largest real estate event hosted 172 exhibitors from 31 countries this year, with 40 per cent of exhibition space occupied by international property developers. The largest ever presence of international exhibitors at Cityscape Global called for the introduction of seven dedicated international pavilions from Turkey, Iraq, the Americas, Russia, Qatar, Egypt and India. Turkey was named the Country of Honour for Cityscape Global 2012, the Southeast European country brought 12 major property developers to the show, headlined by one of the country’s largest, Agaoglu. Ali Agaoglu, chairman of Agaoglu, said: "Cityscape Global was identified as a key platform for Agaoglu Corporations Group to globally launch our new development and showcase Turkish real estate. It is the first time we have launched a development during an exhibition, but we have seen increasing investment interest being shown by GCC and Middle East countries in our developments and we have had very positive conversations during the event." Cityscape Global 2012 is co-located with the Future Cities Conference, and also features four of its own dedicated industry conferences - the Global Real Estate Summit, the World Architecture Congress, Retail City, and the Alternative Dispute Resolution Summit.